These high quality traditional heated towel rails are the perfect combination of Style and sophistication in traditional style Towel Rails Radiators with high quality seamless glowing chrome finish rails, providing a higher heat output to warm your towels and keeps your bathroom cozy & comfortable. • Style: Traditional Towel Rails | Towel Rails | Towel Warmer. • Chrome: Minimum Three Layer Plating Process completed to bring the seamless Chrome finish glow to the Towel Radiator. • Testing Standards: Tested to BS EN442 standards ISO Certification: Manufactured by ISO9001:2008 certified manufacturer Compatibility: These Traditional Towel Radiators are Compatible for use on all UK heating systems. • Radiator Features: Cast iron material used for construction Low carbon steel is used for all our towel rails Minimum Three Layer Plating Process completed. • Manufactured by ISO9001:2008 registered manufacturer Tested to BS EN 442 standards Suitable for all central heating systems Supplied with fixtures and fittings. • PLEASE NOTE: Valves are not included with this radiator. 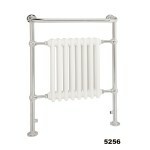 Below mentioned are the best specification and features of clematis traditional heated towel rails. The warm towel that I get every morning won't be possible without this radiator. Its wonderful. It is a quality product. Definitely provide what it advertise. I loved its design and heating capacity. 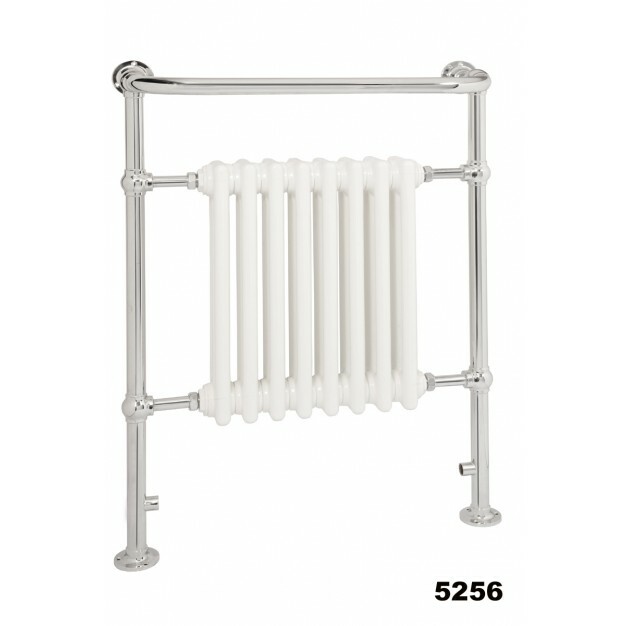 I am satisfied with the quality and performance of this radiator. Its works well. I loved its design and it easy to install. I was not confident about its quality while buying this but now I am pretty amazed by its quality and how it works.